« When the Universe huddles to serve a Sufi? Overconfident Imran Khan, Dirty laundry washing Ch. 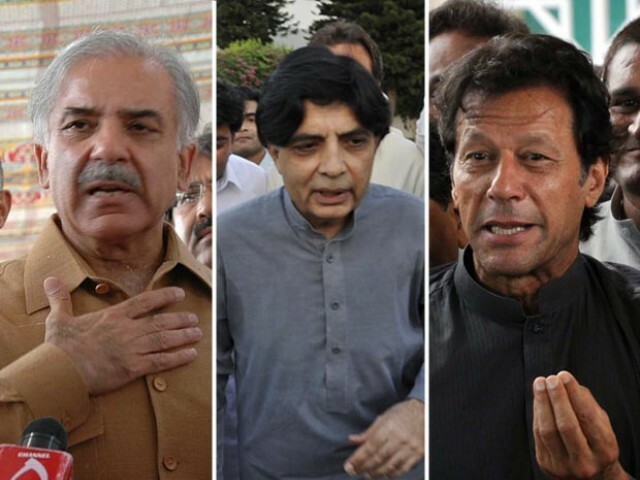 Nisar, In disarray PML(N), On the ventilator PPP. Imran Khan is still an unpredictable, unreliable entity to the domestic and International Establishments. Shahbaz Sharif is the sort of last resort option, so is being kept under the clouds of impending corruption cases. Ch. Nisar, although in reality, a shoe-licking slave of the corrupt master for long but portraying otherwise as a nagging, self-righteous man of his own. He is considered to be the most reliable proposition by the Military Establishment. PPP, with the exclusion of Zardari, would be given the role of a spoiler or fine-tuner, to keep Imran Khan and Ch. Nissar in check. Imran Khan, even if made P.M, would be tempered with the most powerful role given to Ch. Nisar. People’s expectations of Imran Khan need to be tapered down to avoid disappointment. He, being surrounded by chronic infidel-powerbrokers, would not be able to deliver on most of the campaign promises. P.S:- Comments posted on FB on 07/25 early in the morning. This entry was posted on July 10, 2018 at 5:00 pm and is filed under Blogroll, Current events., Muslim World, POLITICS, Uncategorized. You can follow any responses to this entry through the RSS 2.0 feed. You can leave a response, or trackback from your own site.